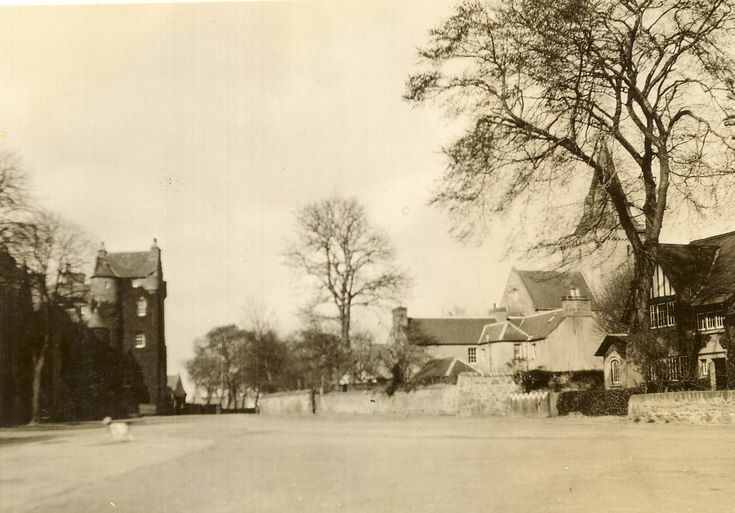 Monochrome postcard of The Square Dornoch with the old Post Office and Cathedral on the right and the county buildings and Castle Hotel on the left. From an album of postcards and photographs taken by Mrs J.I.C. Mackay of Dornoch and surrounding area.